Research on cells that die during a cold has shown potential new ways to treat and prevent asthma attacks. 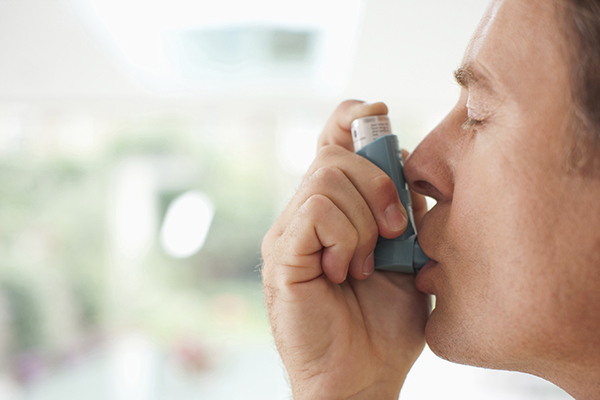 Researchers have discovered potential new ways to treat and prevent asthma attacks. The researchers at Imperial College London and the University of Liège in Belgium wanted to see if a type of DNA, released as cells that die during a cold infection, could be causing the type-2 response that creates inflammation of the airways, leading to asthma attacks. Nasal samples were taken from 11 healthy individuals and 23 with asthma before, during and after infection with a cold virus. Proteins linked to a type-2 immune response were higher in asthmatics after they were infected with the virus. They also had higher levels of the double-stranded DNA, which is released as the cells die. Researchers also studied mice using an enzyme called DNase, which digests excess DNA. DNase, known by the generic name dornase alfa, is a drug used in cystic fibrosis to thin mucus in the lungs. The study found mice treated with the enzyme had a lower type-2 response following infection with a cold virus, and showed lower levels of inflammation in the airways.